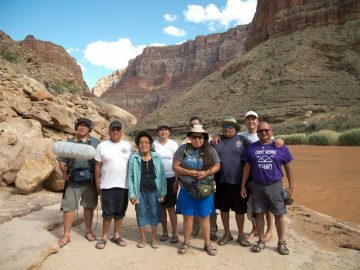 One trip down the Colorado River through the Grand Canyon was all Tera Laub needed to trade in her future in International Relations for a life of outdoor adventure. 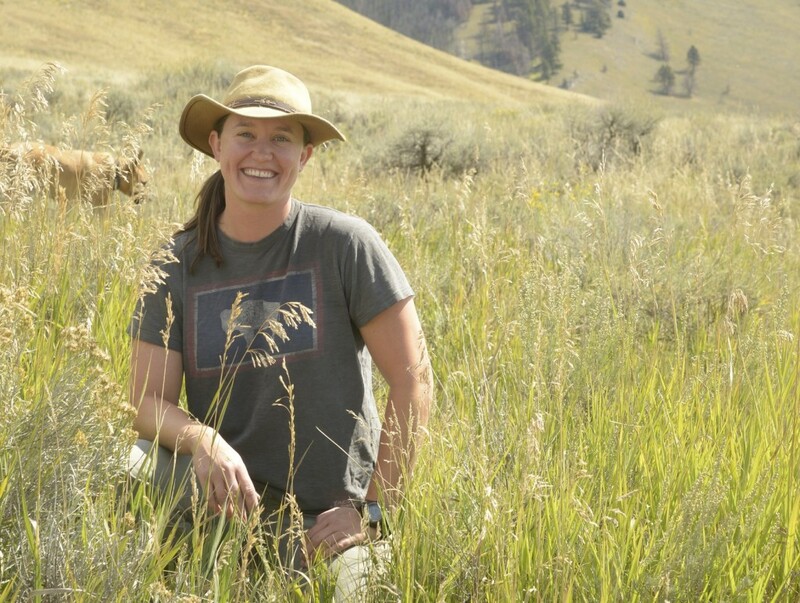 Born and raised in Wyoming, she followed her heart to Jackson Hole where she now guides paddling trips in Grand Teton and Yellowstone National Parks for OARS. When you talk to her, you can tell Tera has found her calling in the wild. 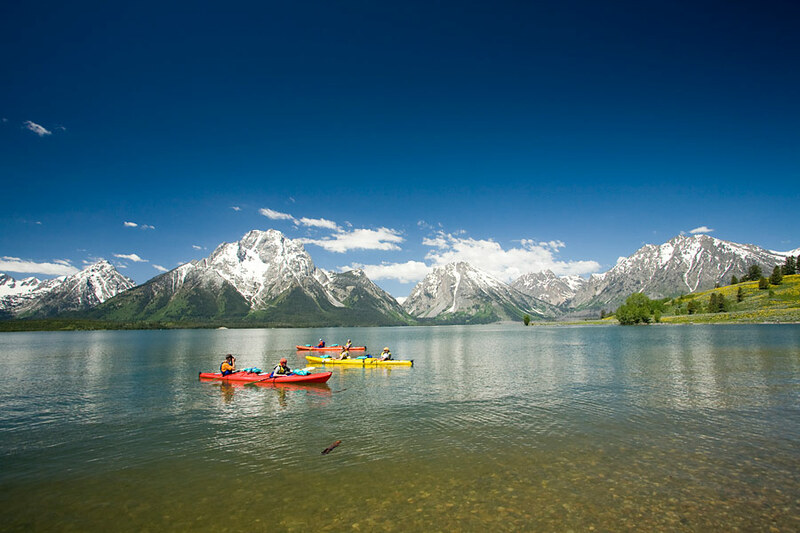 How did you end up guiding kayaking and rafting trips in Wyoming? I went to school for International Relations, but I wasn’t really ready to go to grad school. My dad got a Grand Canyon permit for the October after I graduated, so I decided to just put off getting a real job and went on this Grand Canyon rafting trip. It was just a great lifestyle. So I decided I wanted to get into some sort of guiding career. 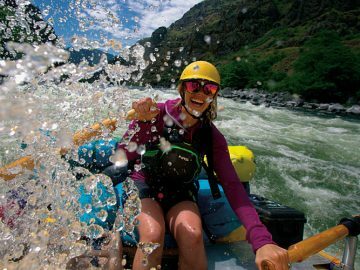 That was rafting, but did you always have a love for kayaking? Yeah, I grew up going to my family’s cabin in Maine. We would play on the lake all day. We had kayaks, canoes, and a paddle boat. I love how peaceful it can be, and then I love that it can get challenging, as well. 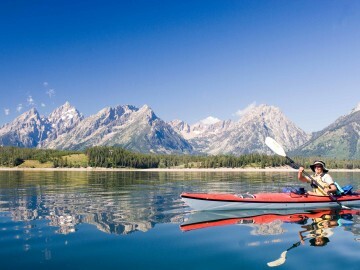 A lot of time people think, “Oh flat water kayaking, it’s so simple and easy.” Maybe, but there can definitely be a challenge to it…if you’ve paddled four miles in the wind, it feels so rewarding. 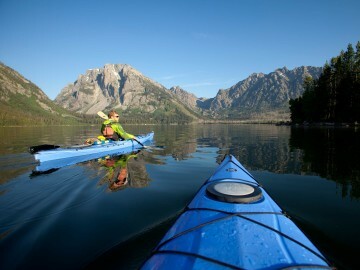 What makes the Jackson Lake kayaking trip in Grand Teton National Park so special? We kayak to Grassy Island, get camp set up, get dinner going, and then enjoy the view. You can stare at the Tetons, they’re just right there. There are also a couple of hikes that we do. One of them I’ve never seen another person hiking on—the Moran Creek Hike. That one is incredible because we’re hiking along this creek that is flowing from Triple Glacier off of Mount Moran. And there’s another hike to three beautiful mountain lakes. On one of them there’s this rock that we jump from into a glacier-fed lake. You guide rafting trips on the Snake River in the Tetons, as well. 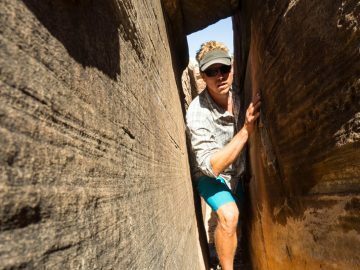 Why is that such a unique national parks experience? We have a saying that it’s Class I water but Class V scenery. 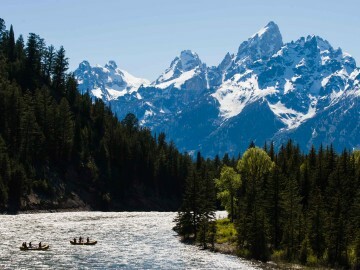 As we cruise down the Snake River, it’s just these beautiful views of the Tetons. They are very dramatic because they are so young. They haven’t had time to erode away, so they are these big, rocky, steep peaks. It’s just incredible. We see a lot of wildlife, as well. Speaking of wildlife, have you had any memorable encounters? A lot of times people think, “Oh, we’re on an island, we’re not going to see any wildlife.” But I’ve seen deer and moose on Grassy Island. One moose came walking right through camp, just checking everything out, saying “Hi.” That was really exciting, but on our training trip this year, we saw a grizzly sow with two yearlings behind her. They were cruising right towards us, not in a malicious manner or anything, that’s just the way they were moving. That was incredible. 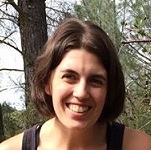 What are you doing when you’re not guiding? I’ll get out and do some hiking and backpacking. There are so many great hikes around this area. There’s one to Tiger and Bradley Lakes…it can be a shorter hike, or you can go all the way to Bradley Lake and make it a seven mile round trip. 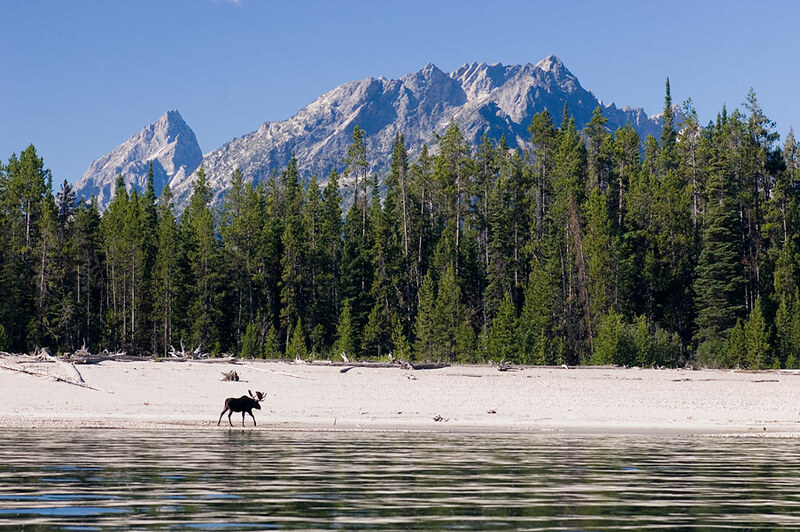 As you’re hiking along you have a beautiful view of the Grand Teton, which is the tallest mountain in the range. And once you get to Tiger Lake you can see the Grand Teton reflecting in the water there. I take my family on it when they come.